The Tennis Court, Ruin, Gravel Garden, and Pond Garden focus on hardy perennials, both woody and herbaceous. The Tennis Court builds on the idea of foliar display introduced in the Teacup. The Ruin is a folly, built on the foundation of Adolph Rosengarten, Jr.'s home. It is meant to look as if the house fell into disrepair. The Gravel Garden is hot and dry, a touch of the Mediterranean in Pennsylvania. The Pond area is exuberantly floriferous. Asian Woods and Bell's Woodland are shady areas. The former features natives of China, Korea, and Japan; the latter, plants of eastern North America. The Serpentine celebrates the beauty of agricultural crops. The cut flower and vegetable gardens produce flowers for our arrangements and food for our tables. Surplus goes to a shelter. The parking lot is our "low maintenance" area, with hardy plants that are neither irrigated nor fertilized. Staff build furniture, fences, gates, bridges, and drinking fountains during the winter in converted garages. We take our educational responsibilities seriously but interpret them a bit differently than other public gardens. Instead of labeling every plant, which would distract from the visual effect, we encourage guests to speak with the gardeners about our 5,000+ plants. Plant lists and photographs are in handmade boxes and available online. Study our designs and borrow ideas if you'd like. Take courses we offer in collaboration with other horticultural and art organizations. 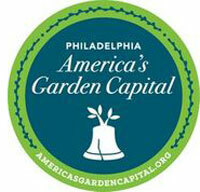 Internships, scholarships, and staff exchanges help the careers of garden professionals. We strive to improve our environmental impact. We reuse, recycle, and compost. Solar panels produce 20% of our electricity. Cisterns capture approximately 50,000 gallons of rain water for irrigation and recharge. Integrated pest management keeps pesticide usage low. 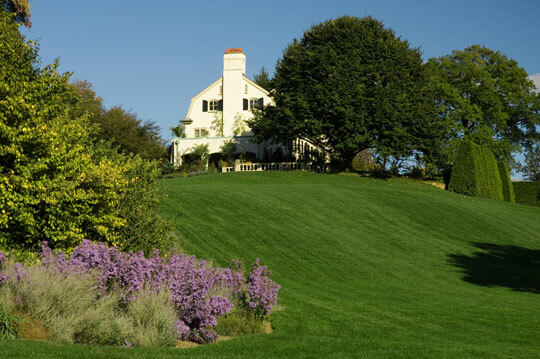 Healthy soil makes for healthy plants; we have fertilized our lawns organically for over a decade. Meadows and sedges replace some lawn areas and we are eliminating invasive exotics. Since 1990, we've planted hundreds of trees here and along local streets. Furniture is now made from wood cut on the property or with reused wood. We recently exposed a creek long entombed in a pipe. The path in Bell's Woodland is made of shredded tires. The Chanticleer Foundation owns 47 acres, 35 of which are open to the public. The remaining acreage is in agriculture, woodland, service areas, and staff housing. The main path is just under a mile in length. We hope you feel like a special guest of the Rosengartens. Sit and enjoy the views. Relax, read, converse, meditate. Feel the sun on your back and the grass beneath your feet as you listen to the birds and enjoy the scents of the garden. Gardenlust: A Botanical Tour of the World’s Best New Gardens, his new book, at the Radnor Memorial Library. Arrive early to secure your seat at this free program.